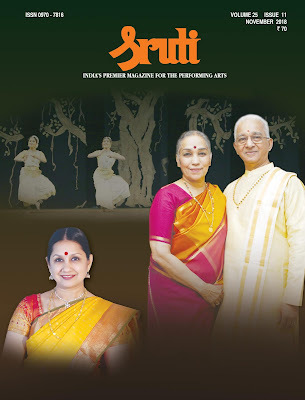 Rereading old issues of Sruti on the occasion of our 35th anniversary, we found a few names recurrently appearing in bylines of general articles on the state of music and dance marked by acute observation and deep sensitivity to aesthetics and standards. Ramaswamy R. Iyer’s was a wise voice from Delhi that stood for some uncompromising values in Carnatic music, a voice unafraid to express original views. S. Sankaranarayanan practically created a new genre of writing with his Stamps series, giving biographical writing on artists a philatelic twist as it were, and revealing deep knowledge of both music and musicians as well as complete authority in the field of stamps. Sriram V. has carved a niche for himself as a raconteur and chronicler capable of both sparkling humour and profound empathy with his subjects. By his own admission, writing for Sruti, especially profiles and the Sangeeta Sthalam series, helped him to grow into the historian he is recognised as today. Chithra Madhavan brings an intimate knowledge of temple architecture, sculpture and history to her heritage column, which is touched by deep love and knowledge of her subject. 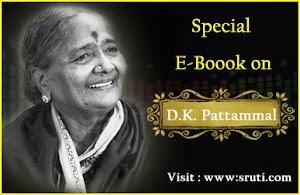 Charukesi writes his interviews with great empathy, and violinist R.K. Shriramkumar is a great asset to us as a willing contributor of knowledgeable but eminently readable inputs on music and musicians. Indira Parthasarathy’s return to Chennai a few years ago from the US proved to be a godsend for us, as we were able to persuade him to write a column on theatre. It sparkles with wisdom and a lifetime of accumulated experience—writing, reading, watching plays and teaching theatre. His all-time favourite may be William Shakespeare, but his pride in Indian dramatics and knowledge of the subject have added a new dimension of authenticity to our theatre pages. V.A.K. Ranga Rao’s idiosyncratic way of presenting his views, on mainly dance, is always founded on depth and an eye for detail, a quality that makes his reviews of books and performances quite unique. Sujatha Vijayaraghavan’s writing on dance is both thought provoking and scholarly, but often reflects her capacity for lateral thinking as a creative writer of merit herself. 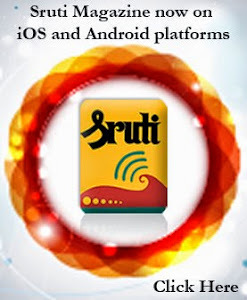 Sruti is what it is because of the selfless way all these writers have strengthened our hands. 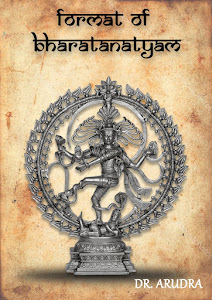 In this issue we are happy to present an account of the grand golden jubilee celebrations of Bharata Kalanjali—the dance institution established by the Dhananjayans in Chennai. The duo have been good friends of Sruti from its inception, having participated in many of our endeavours. Dhananjayan has been an active contributor to Sruti Box and has been encouraging artists to subscribe to Sruti during his tours abroad. It is indeed a milestone to successfully run a dance school for five decades and Sruti congratulates the dedicated duo and their team. An interview with senior Bharatanatyam dancer Roja Kannan, who has been in the field for about 45 years and recently donned the mantle of ABHAI president, underlines the importance of hard work, a never-say-die attitude and the need to develop a passion for the art to be able to lead from the front. Another interview with the multifaceted young theatre actor-writer Irawati Karnik, brings the curtains down on the very interesting series on eminent women in theatre by Mahesh Elkunchwar—one of India’s most distinguished playwrights. There are, of course, the regular series, news reports, and comments on issues of topical interest. The #MeToo movement seems to be having tremendous resonance in the worlds of music and dance in India as much as in the film industry. For the first time, several artists, most of them youngsters, have come together to condemn sexual harassment in the community. The movement has taken the arts world by storm—many of those named have been denied performance slots or have been dislodged from their positions of power. This is an opportunity to create a cleaner, more ethical ecosystem where men and women can pursue artistic activity without fear of demands in cash and kind.